for top plate size desired from chart. Exceptional ease of use and quietness in the swivel operation. Seal in raceway helps guard against dust, dirt, etc. 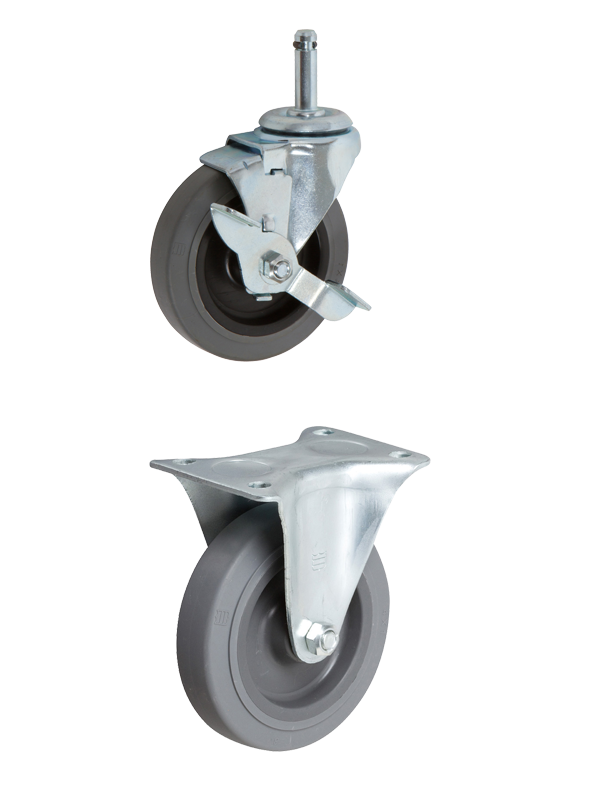 Ball bearings in the 4” and 5” wheels add extra maneuverability. 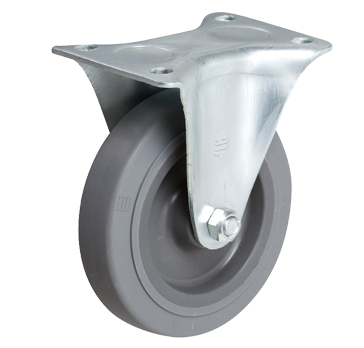 Octagonal upper cup standard on threaded stem casters. Service carts for hotel, hospitals, restaurants, etc.